Every counselor/therapist has a different approach. Some are highly directive and authoritarian. Other primarily listen without providing much verbal feedback. Some focus on feelings. Others act as coaches and focus on behaviors. There are many ways to be an effective counselor. It’s important that you find a counselor/therapist that has a counseling style that works best for you. In treatment of mental disorders and life patterns, I use an honest, egalitarian approach. I combine life experiences, education, and training to help my clients develop new perspectives on their circumstances. I tend to be friendly, compassionate, and understanding with my clients but also have a strong respect for professional boundaries to provide the best counseling services possible. To help me provide customized services for you, I need to learn about your unique, personal story. To do this, I use a variety of tools (e.g. questionnaires, diagrams, conversation). As I listen and learn about your experiences, I’ll let you know if I notice patterns that seem to help you or hold you back. I’ll offer suggestions for exercises and activities that can help retrain your brain and learn new skills. Plus, I’ll help you evaluate options in your life, so you can make choices that align with your authentic values. We may work on helping you change your thinking patterns, beliefs, emotional reactions, behavioral responses, physical actions, and habits. We may also work on changing the way you interact in relationships. To ensure I have oversight and professional growth in multiple areas, I have two supervisors. Sarah Lincoln Pattee, MS, LPC is a Licensed Professional Counselor and approved supervisor for LPCs in Oregon (license #C3773). 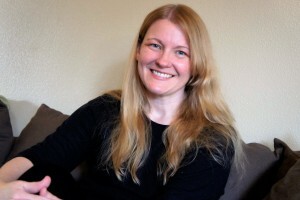 Katrina Gould MSW LCSW is a Licensed Clinical Social Workers and approved supervisor for LPCs in Oregon (license #3447). Supervisor: Sarah Lincoln Pattee, MS, LPC. Director: Dr. Susan Bettis, PhD. Supervisor: Susan Hatfield, MA, LPC. The following professionals are approved LPC supervisors in the state of Oregon and currently act as supervisors for Kristen Beck, LPC-Intern. I currently do not provide emergency or crisis services. Please contact your county's crisis line if you need immediate help, or call 911 for life threatening emergencies.